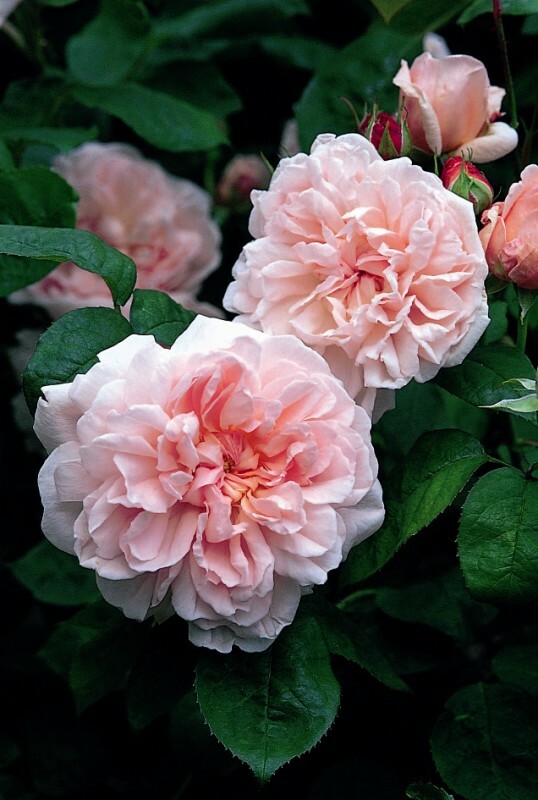 We regard this as one of the most beautiful of the English Roses. The flowers are quite large and of exquisite formation - the petals turning up at the edges to form a shallow saucer filled with small petals. The growth is ideal, being of medium height and bushy, with nice foliage and little disease, making it in every way an excellent garden plant. It is sweetly fragrant - a charming and delicate Old Rose scent.